The North American floorcovering industry remains at a crossroad. Faced with an aging workforce and an increase in retirees as baby boomers leave the industry, we must all do our part to find and cultivate the next generation of movers, shakers and leaders. But that next generation also needs to rise to the occasion and invest in their future at the same time. For young men and women completing their apprenticeship and entering the workforce as full-time installers, this reality can be a bit daunting. With only a few years of experience, they are still green as can be. Plus, no matter how good their initial training is or was, they must continue to grow in order to become better installers and climb the proverbial “ladder” of success. So how exactly can this next generation of floorcovering industry professionals become not only better at their jobs, but set themselves up for a lifetime of success and growth? Below are four tips to get the ball rolling. This is by no means an exhaustive list, but following these recommendations gathered from seasoned floorcovering pros is a realistic and achievable start. If you ask around the industry for advice on climbing the installation ladder, one of the most consistent answers you will find revolves around education. This may seem obvious, but once installers complete their apprenticeship they tend to replace classroom learning with on-the-job training. Once young professionals have a family and get bogged down in the day-to-day of life, getting them back into a training center can a tough sell. “Never, ever stop learning,” says Ryan Altic, general foreman for Mr. David’s Flooring International, LLC. “When I had downtime as a young man in the trade, the first thing I did was find training and educational opportunities at my local center. If there was a class available, I took it. No questions asked.” In addition to his fruitful career with Mr. David’s, Altic serves as a part-time instructor at the Northeast Florida Regional Training Center. It’s a position he wouldn’t have today without his dedication to furthering his education in the floorcovering industry and his growing relationship with INSTALL. The curriculum used in the INSTALL training program is co-developed by the Carpenters International Training Fund with input from industry leaders and manufacturers. To stay on the cutting edge, it is regularly reviewed and updated by technical and education experts. Yet another key component to professional development and improving your reputation in the industry is to regularly attend meetings, events and trade shows. This is where you meet fellow installers, journeymen, carpenters, and other people in the field. Not only that, but you will be exposed to more seasoned pros, company owners and manufacturer reps.
Competitions and contests are another way to show your off your skills and raise your profile in the industry. Altic, for example, recently won the INSTALL Olympics. 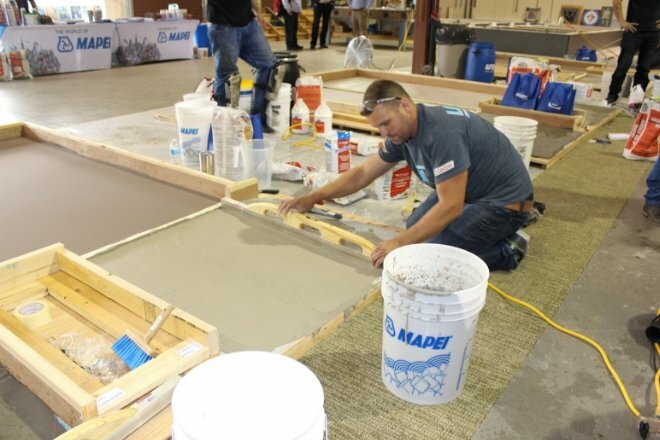 In this first-ever event, champions from each of the five districts of the Carpenters Union in the United States and Canada competed in a timed skills installation. Altic took top billing, which was especially meaningful because he represents the Southern District where INSTALL programs are relatively new, and the labor pool is smaller and still developing. His success demonstrates that the INSTALL program is highly capable in providing access to quality training and successful in developing new, qualified labor pools. When all else fails, prove your worth and increase your knowledge by getting out your phone, laptop or tablet and use the countless tools that the internet has given us. From instructional videos to updated training manuals to case studies, there are dozens of opportunities for professional development and learning-on-the-fly. The young men and women of the floorcovering industry are our future. They might be green, but with the right education, mixed with hard work and determination, they have the opportunity and the ability to become the next generation of leaders. There is no better time to find and cultivate this talent, or to rise up to the challenge as a young professional and make yourself known. The future is waiting. Go forth and prosper. *This article originally appeared in the January/February edition of ProInstaller Magazine.